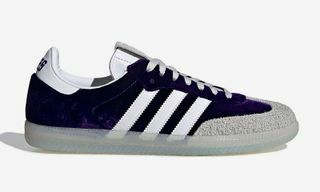 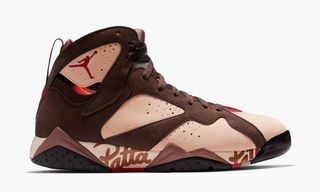 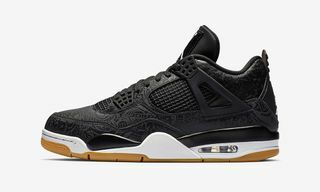 Key Features: Leather upper, herringbone outsole, encapsulated Air sole units, Jumpman branding. 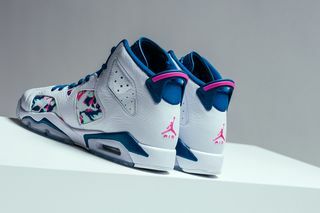 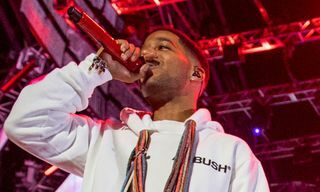 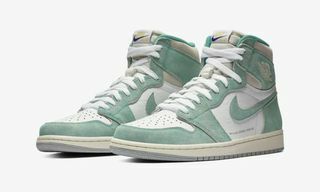 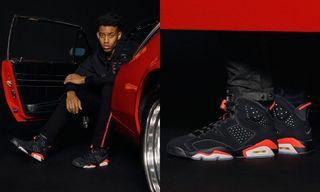 Editor’s Notes: As Jordan Brand continues to unleash new, non-retro colorways — such as the Air Jordan 1 “Turbo Green” and “Hyper Crimson” – the company is gearing up to release another fun, colorful pair with the girls-exclusive “White/Laser Fuchsia/Green Abyss” Air Jordan 6. 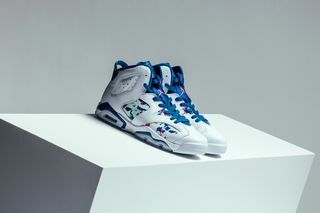 The playful Jordans feature a premium white leather upper, accented with multicolored panels. 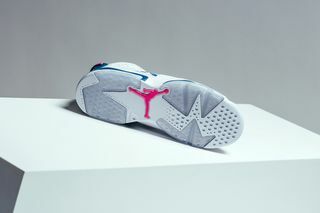 Deep navy details further liven up the sneaker, which also welcomes pink Jumpman branding at the tongue, heel and outsole. 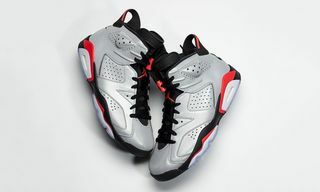 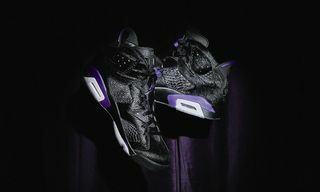 Furthermore, the Air Jordan 6 notes an encapsulated Air sole unit below, providing enhanced comfort. 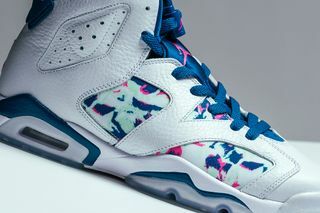 The Air Jordan 6 “White/Laser Fuchsia/Green Abyss” will be available in youth sizes beginning March 2. 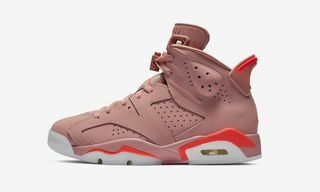 Visit Jordan Brand retailers like Feature to secure a pair.